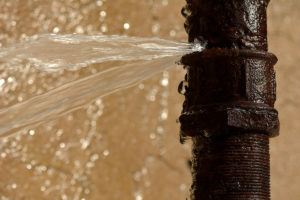 A pipe burst, overflowing appliance, or any other water loss in your home can cause significant damage in a very short amount of time, including health concerns, such as mold. Pipes, waterlines, and appliances break – it is a part of life. Lucky you have homeowners insurance or commercial property insurance which typically covers water insurance claims, but with several limitations and exclusions. Whether the item broke unexpectedly or accidentally by you or someone else, the resulting water damage is likely covered by your insurance policy. Sometimes the break is hidden from view and is not noticed until a symptom of the broken pipe is discovered, such as a substantially more expensive water bill, dampness, or even mold. Water destroys wood and laminate flooring, warps, swells, and discolors wooden cabinetry, and saturates drywall creating ideal conditions for mold and fungal growth. Water quickly seeps through floors and destroys the floor beneath it. As such, it is important to act as fast as possible when a water loss occurs. Specifically, it is important to stop the water loss as quick as possible, document with pictures and videos the extent of the water damage, and protect the property from further damage. If any repairs are made the broken to the broken pipe, waterline, appliance, etc., it is important to keep the broken item and not to discard it or throw it away. Makris & Mullinax, P.A. is a Tampa Bay insurance claim law firm specializing in homeowners insurance claims and commercial property insurance claims, including water insurance claims and flood insurance claims. If you experience damage to your home or property caused by a burst or broken pipe, water, flood, or mold, please contact us promptly for help. If your insurance company is delaying your water or flood claim, denied your water or flood claim, or underpaid or low-balled your water or flood claim, contact us today.